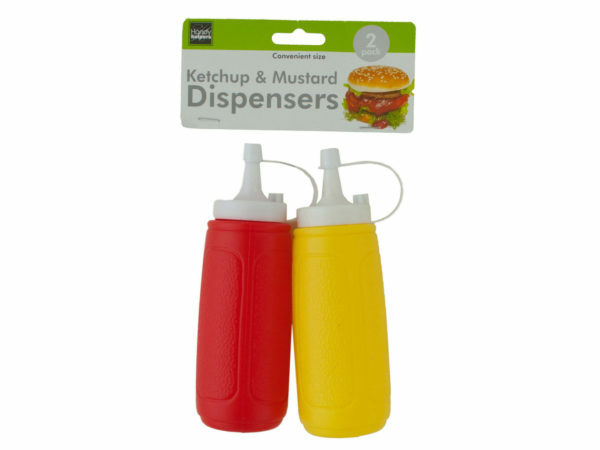 Great for your picnic or outdoor barbecue, this 2-piece Ketchup & Mustard Dispenser Set will make it easy to find the condiments. 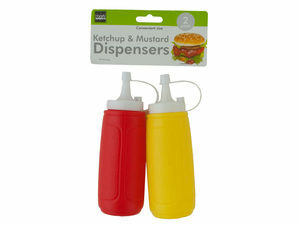 The red bottle dispenses the ketchup while the yellow is clearly for mustard. Each includes a snap cap and features a classic restaurant design. Measures approximately 7.25" tall. Comes packaged in a poly bag with a header card.